My boyfriend had been dying to try Suika for ages, but I had always said no to it since izakaya dishes are not my favourite. I decided to finally give this place a go a few weeks back and I regret not dining here earlier! The restaurant is located along West Broadway with a lot of paid street parking. The atmosphere, food, and service here were amazing in my books. We did have to make reservations at this place because it can get extremely busy. I really enjoyed dining at this dark and relaxing ambiance. To add, there were a lot of amazing dishes that sounded appetizing on the menu. We found it difficult narrowing down what we wanted to order. 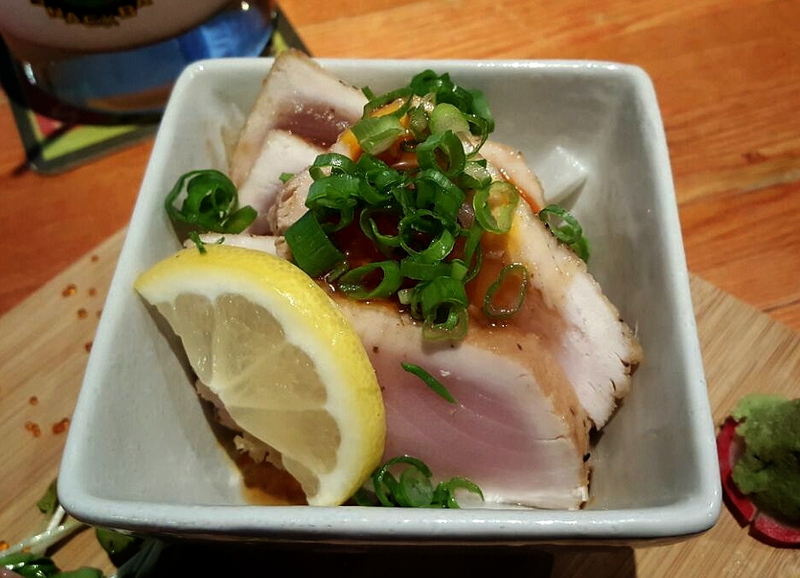 In the end, we decided to try the Lightly Smoked Tuna Tataki ($6.80). The pieces of tuna were perfectly seared and melted in my mouth.The homemade chili oil combined with sliced onion and scallions gave a nice subtle heat and flavouring to the overall the dish. 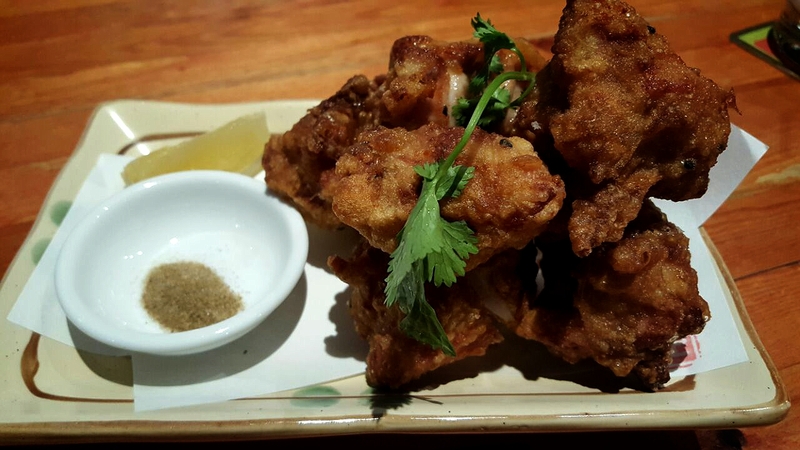 When I took my first bite into Suika’s Chicken Karaage($8.80), it reminded me a lot like Mogu’s minus the sweet chili sauce that they use. They were big crispy, juicy, and tender pieces of chicken. It came with a small dish of salt and pepper which I found unnecessary because the chicken was salty enough already. Next, the Asari Yaki Udon (9.80) was my favourite dish. 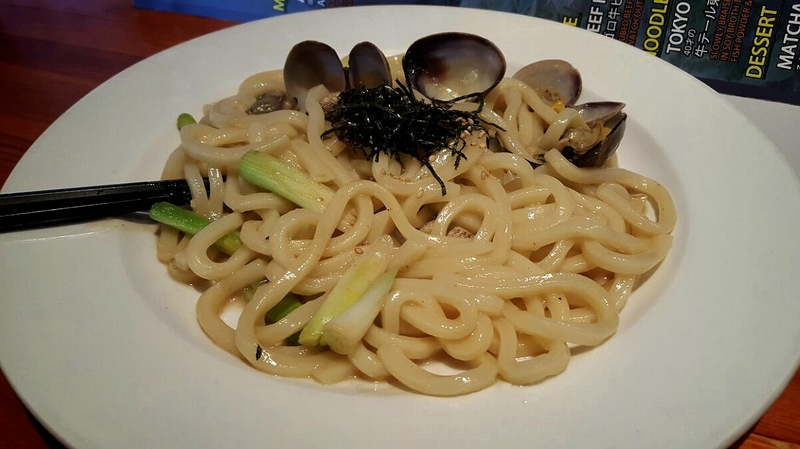 The udon was soft and chewy and the creaminess of the sauce made it even more delightfully tasting to consume. This dish came with manila clams and citron pepper. It tasted so good that I wish the proportion was bigger. 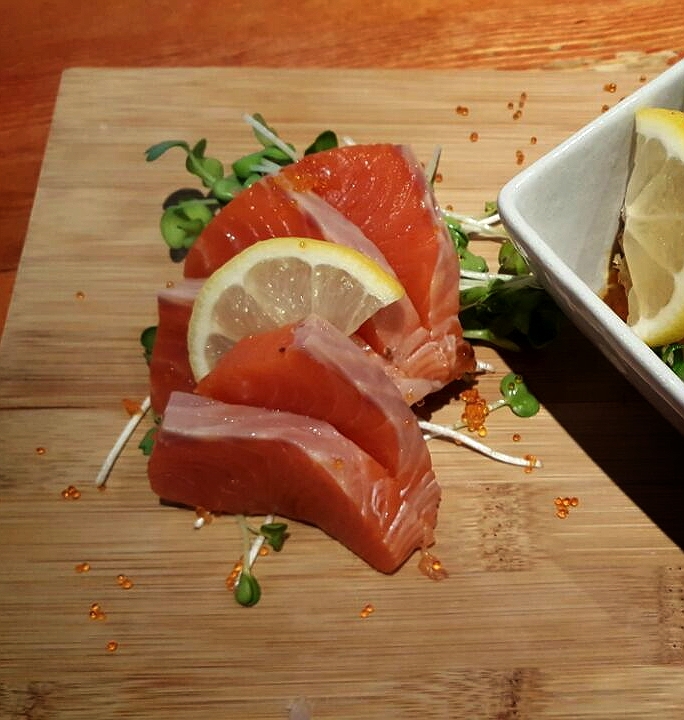 Our final dish was the fresh Sockeye Salmon Sashimi ($7.80) which was nicely cut and plated. I need my intake of salmon sashimi whenever I enter into a Japanese restaurant or else I will not have a satisfying meal! 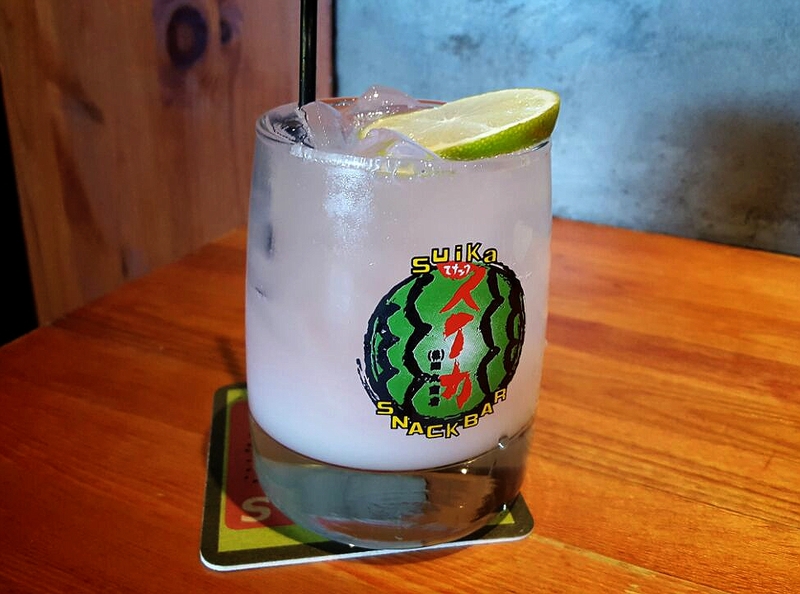 As we would get thirsty, we shared a Peach Calpico ($6.50) which contained peach liqueur, alize red, calpico, and soda. It was a great thirst quencher after eating a hefty fulfilling meal. I could really taste the peachiness in the drink. My boyfriend was right all along that this place would get us addicted. I really enjoyed dining here even though it can be expensive for just two people. If you go as a group, you can order a variety of things to share and split the bill. Just writing this post and looking at the pictures make me want to return to this place sooner rather than later. Happy dining, everyone!